2 images. 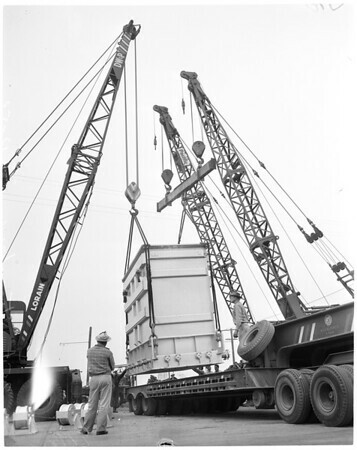 Big electric transformer moved, 1953. 85 ton transformer moved by Deptartment of Water and Power.